Like its sister product for gasoline Mix-I-Go, DEE-ZOL has been providing value and solving problems for customers for decades. 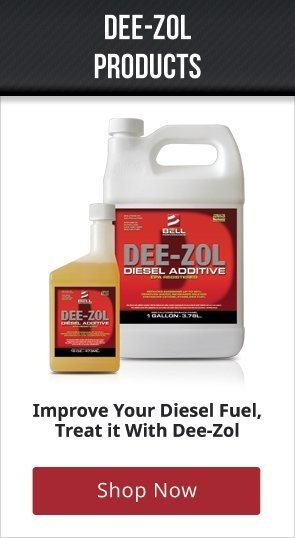 First developed in 1957, DEE-ZOL is the most complete high-quality diesel treatment in the marketplace today. 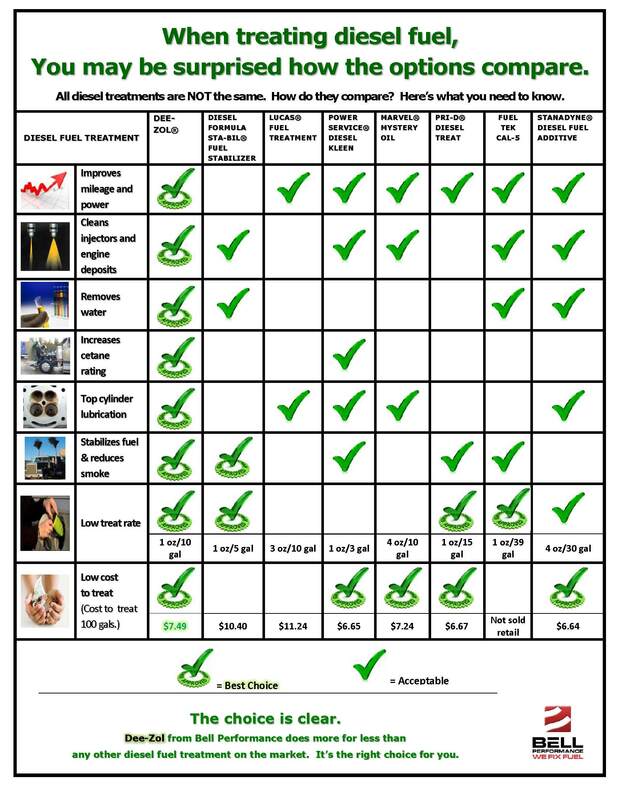 Whatever kind of diesel engine or vehicle you're treating, the DEE-ZOL family of diesel fuel treatments has a solution that's right for you. It's easy to see why DEE-ZOL is the best diesel fuel treatment on the market today. The original formula, first formulated by Robert J. Bell in 1954. As diesel engines have advanced, so has the Dee-Zol formula, keeping it still the most effective multi-function diesel treatment available. It still solves most common diesel fuel issues, with a concentrate formula (1 oz treats 10 gallons) to provide great value. Provides all the great benefits of Dee-Zol, with cold flow improver added to the formula, for extra protection against diesel fuel gelling in cold weather. Even more concentrated than regular Dee-Zol, Marine Dee-Zol packs commercial-grade detergency and water control into a formula that solves marine diesel issues at just one ounce to eighteen gallons. Diesel fuel stabilizer and anti-oxidant that preserves stored diesel fuel quality.